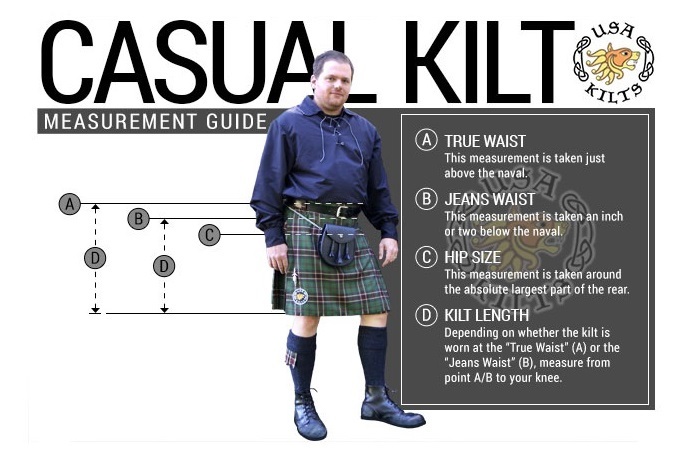 When taking measurements for the kilt, make sure to use a good sewing tape measure. Wrap it around the child at the navel. 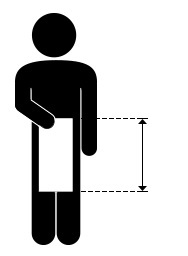 The tape measure should be pulled as snug as you want the finished kilt to be. 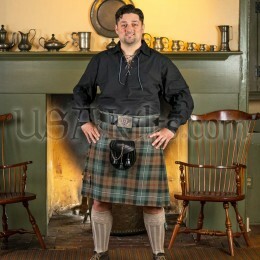 We add a 2" hem to the bottom of the kilt. This allows it to be adjusted 2" as the child grows. 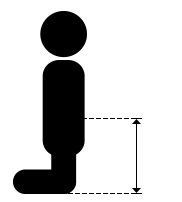 Measure down the SIDE of the child's body from the top of where you took the waist measurement to the middle of the knee. 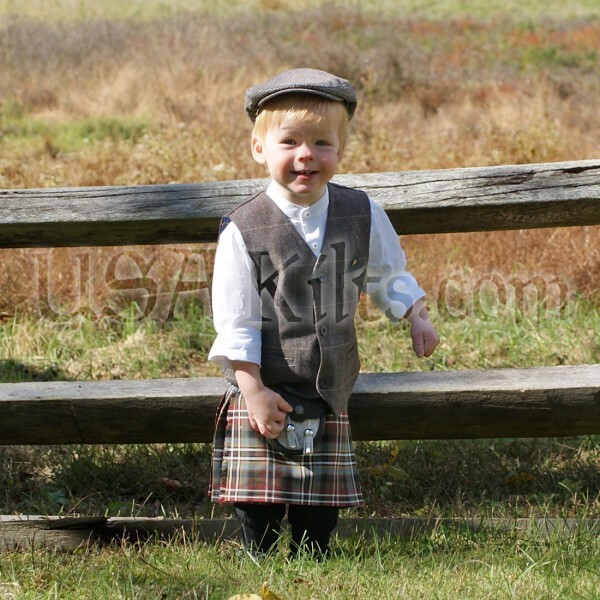 We put the same care and detail into our Kids Kilts that we do in our Casual Kilt. The kilt is made from the same washable & stain resistant Poly Viscose fabric that we use for our Casual and Semi Traditional kilts. 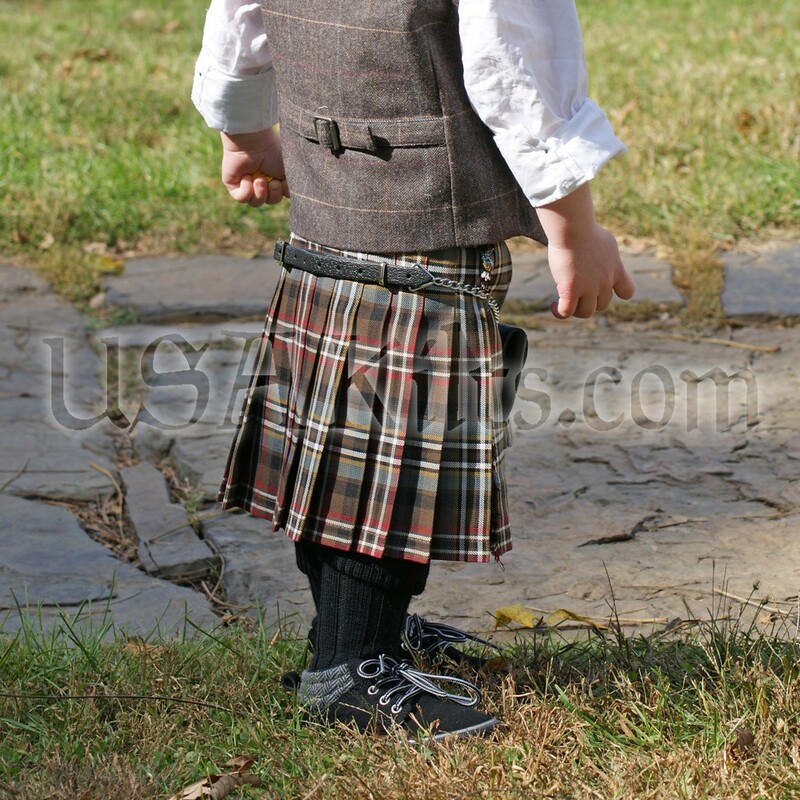 We also add a 2" hem to our kid's kilts to allow them to be lengthened as your wee bairn grows taller. 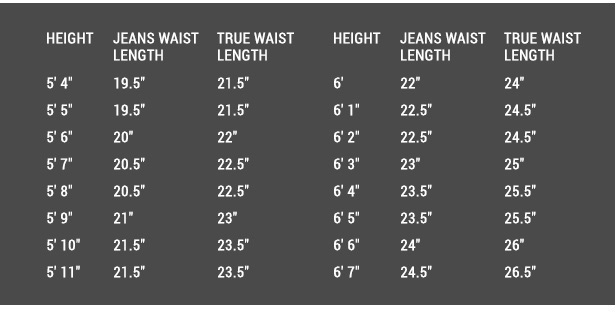 These kilts are made to measure and have a long piece of velcro in the waist to allow for several inches of adjustability. A great Christmas present for the wee one and he loves it. Simple to put on and it looks great. Quality looks to be top notch. 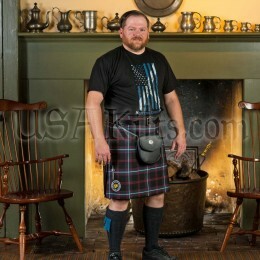 Service and communication from USAKILTS was also good, responses came in a timely manner. After being dissapointed by a mediocre kid's kilt from ebay, I decided to bite the bullet on this one for my toddler. I was not disappointed. You can definitely see the care that goes into these quality kilts and my son gets complemented anywhere he goes in it. Not only that, but it's tough and has held up to rough play and one instance of car sickness. No problems cleaning out that mess in the laundry. 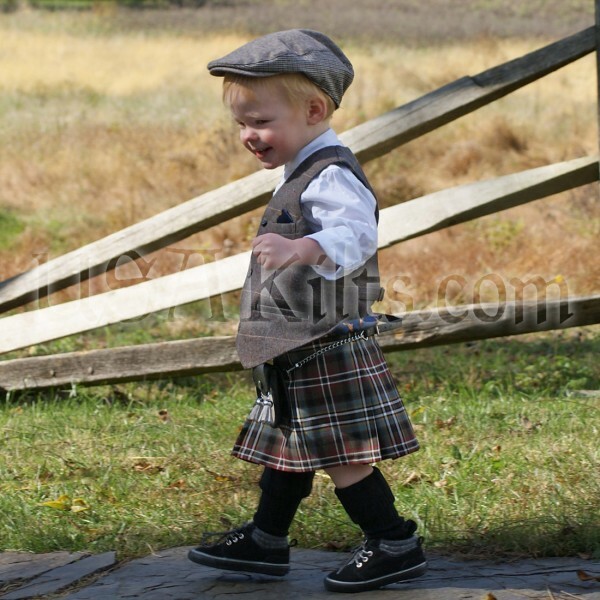 Are you looking to dress up your wee lads in kilts? 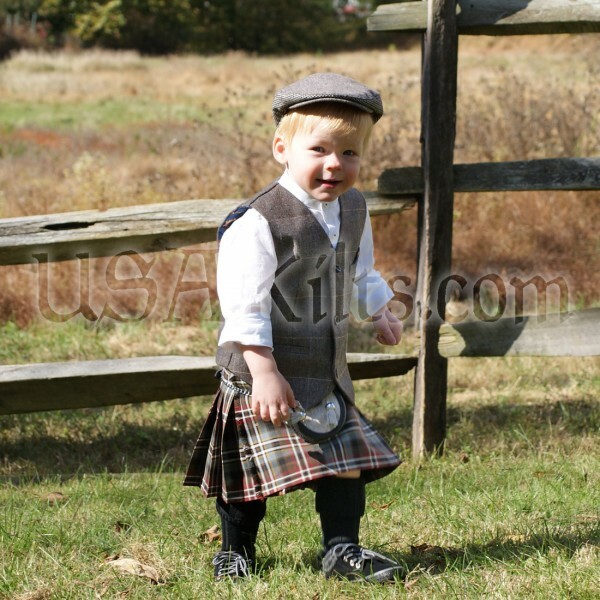 Does your kid want to dress up for the Highland games or an Irish festival? Would you love having a kilted ring-bearer for your celtic wedding? No problem! Now Scottish kids and Irish kids can look as awesome as Dad! Not all kilts for children are created equal. 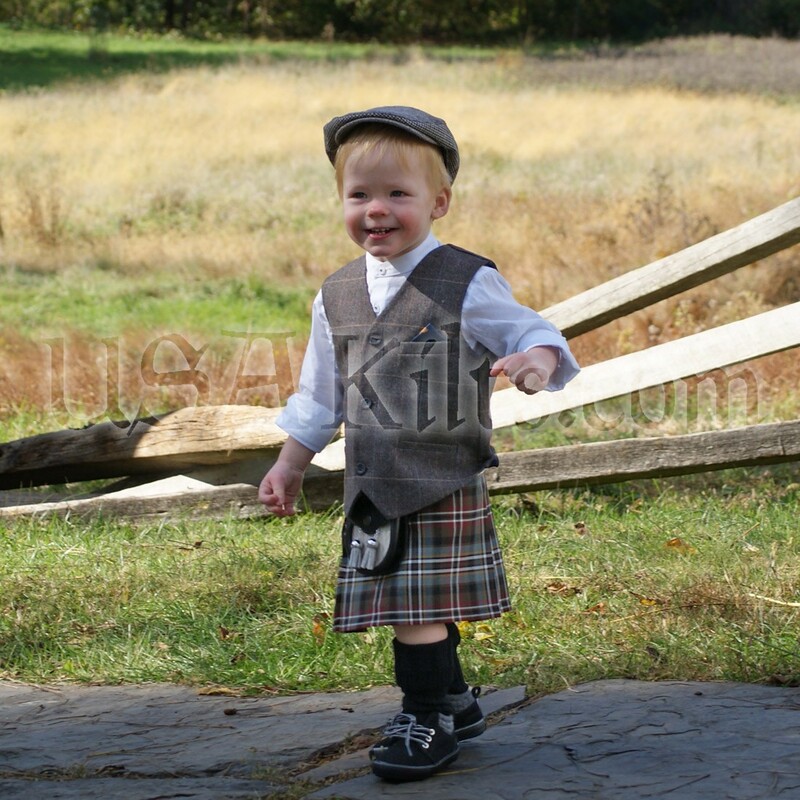 A durable, stain-resistant PV garment, our boys kilt will stand up to anything -- dirt, mud, ice cream, soda, spit-up, stuff we don’t want to think about…Just throw it in the washing machine! You can be sure our childs tartan kilt will look great on the Big Day or any time your little one wants to dress up. Our childrens kilts can also be sized way down -- a lovely baby kilt for a christening.